I know little about Darts. But I know this looks pretty impressive. And I don't know how other Dart Announcers roll, but I love this guy. 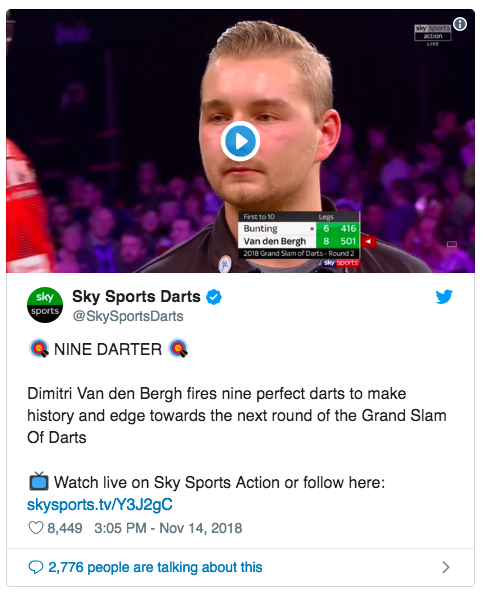 "That second dart was delightful." 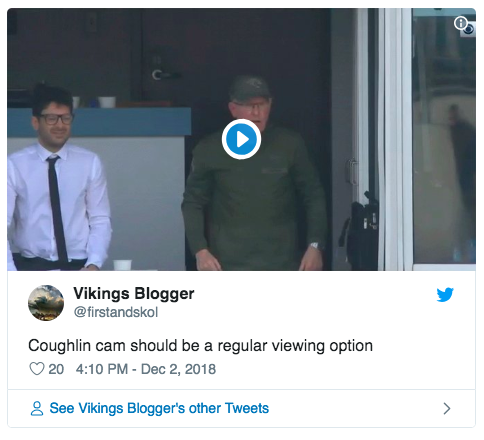 How is the Tom CoughlinCam not a thing? 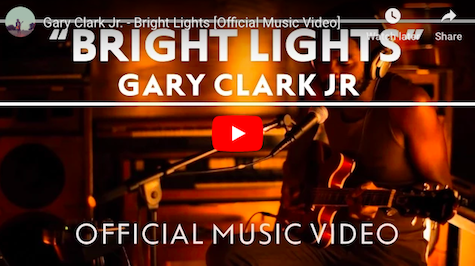 Music Note This Week is Gary Clark Jr. If you like the Black Keys sound plus skillful guitar work, Clark is your guy. It's a beautiful game. 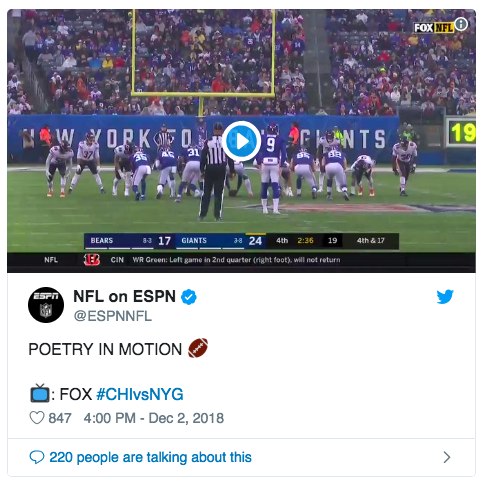 Even on punts. 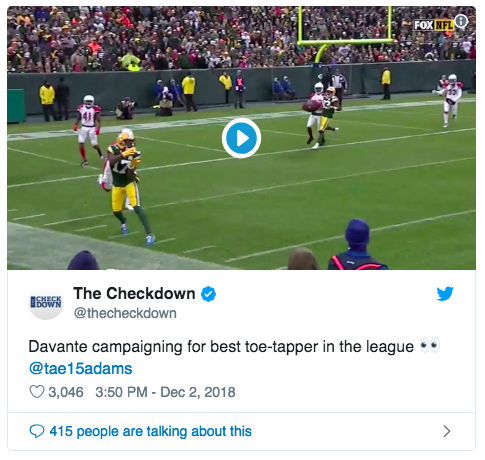 But for the beauty angle, sideline toe taps are tough to beat. 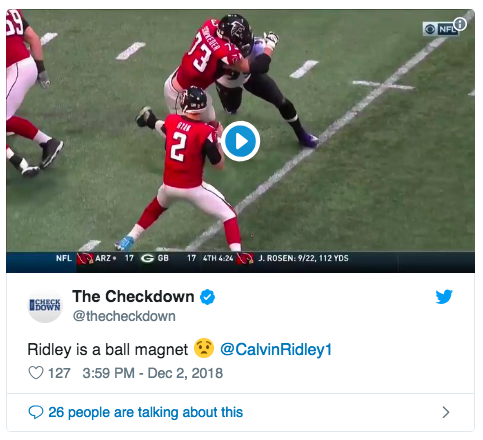 Calvin Ridley somehow has a knack for being in the right place at the right time. You knew Capt. 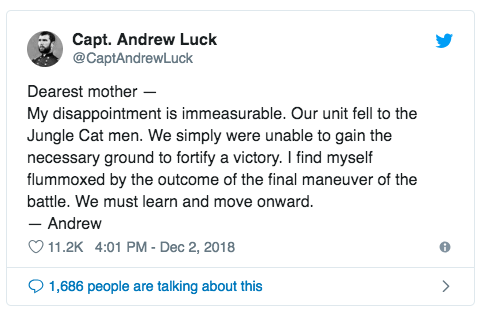 Andrew Luck would take the Jacksonville loss hard. 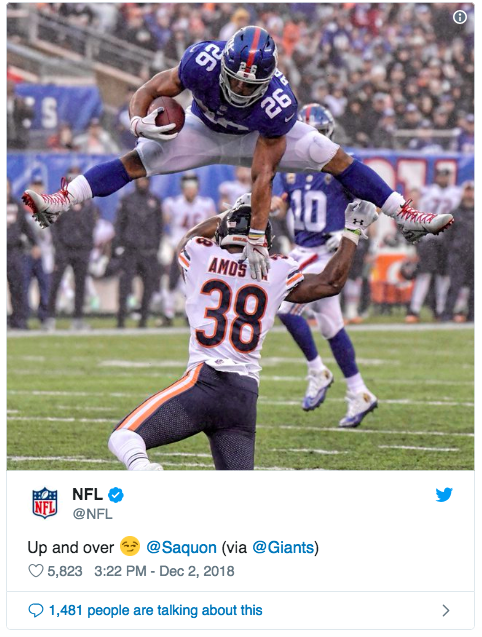 Saquon Barkley. 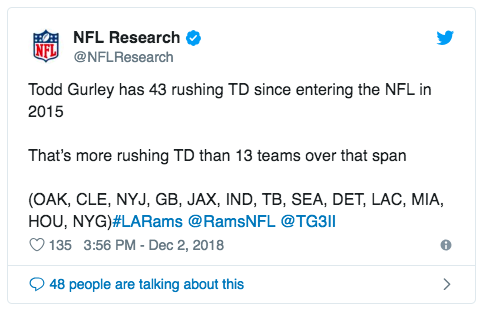 Still kind of ridiculous. The video is just as ridiculous. Jarvis Landry, you're kind of ridiculous too. 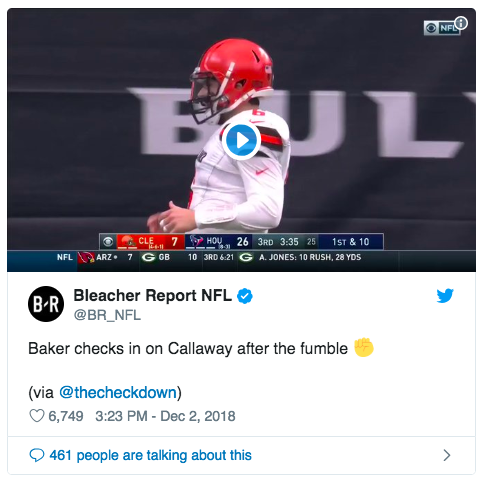 Like most people outside of Cleveland or Norman, I tire pretty quickly of the Baker Mayfield Bro Shtick. But credit where it's due. 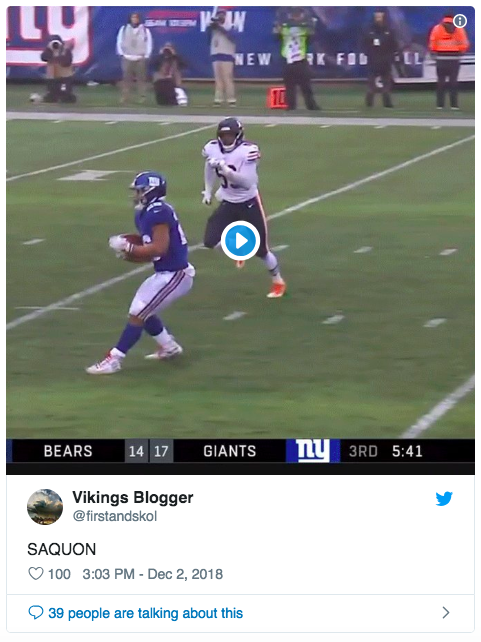 When your young receiver fumbles, this is how you react. 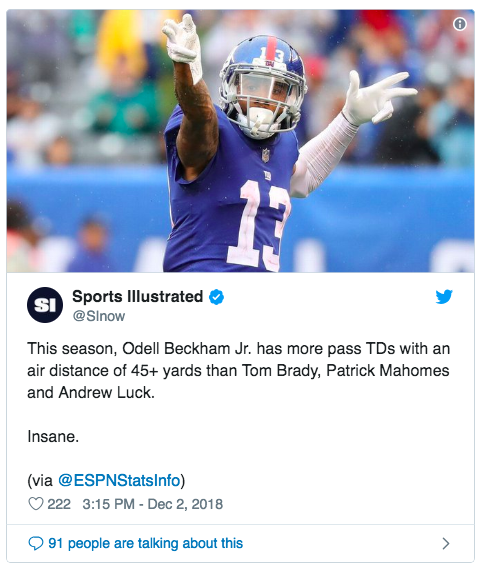 Odell Beckham Jr has more touchdown passes with an air travel distance of 45+ yards than Patrick Mahomes II, Andrew Luck or Tom Brady. 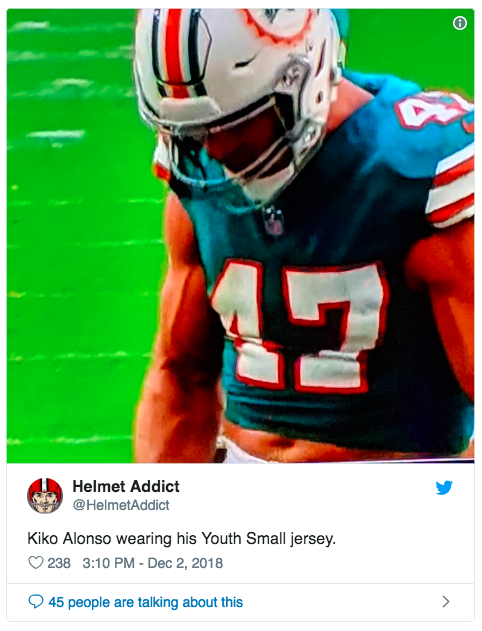 If you want to swap jerseys post game with Kiko Alonso, you'd better have some time on your hands. Sweet moments at the Texans game. Before the game, President George H.W. Bush was honored. As you know, he was our 41st president. 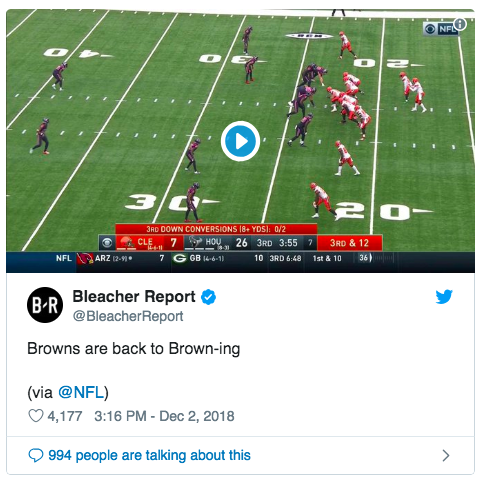 In the second quarter, Texans linebacker, Zach Cunningham scored on a pick-six interception. Wearing jersey number 41. 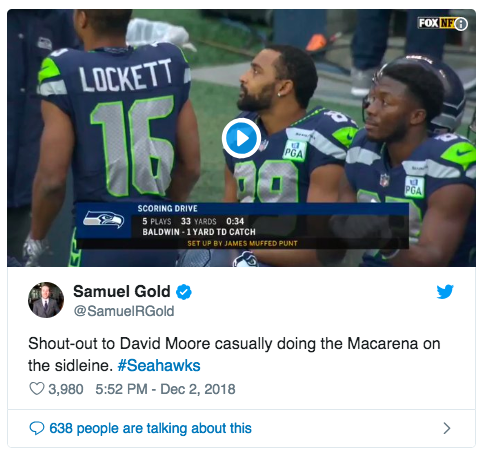 Thanks to Footballguy Seth Meredith for that one. 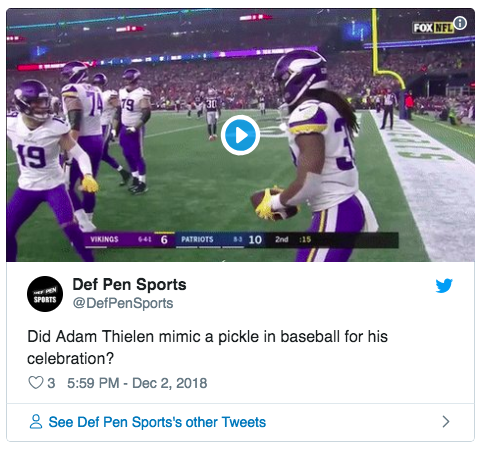 I think Thielen might have been just mad people didn't like his touchdown celebration. "Many" reportedly called it the "worst of all time". I think this is my new least favorite thing. 2. Find three people on Twitter complaining to their 27 followers. 3. Proclaim "Twitter Exploded" on the thing that happened. I need to stop promoting this. 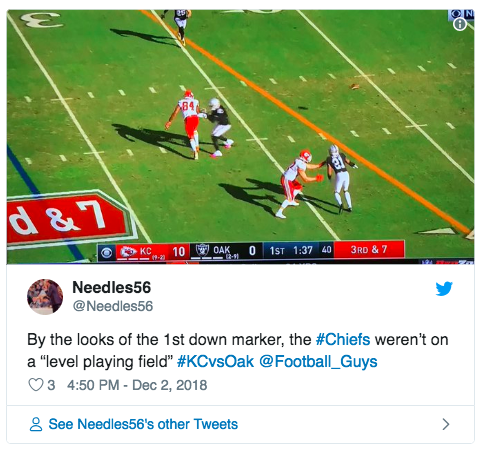 Oakland pulling out every trick in the book including the "Un-level Playing Field". 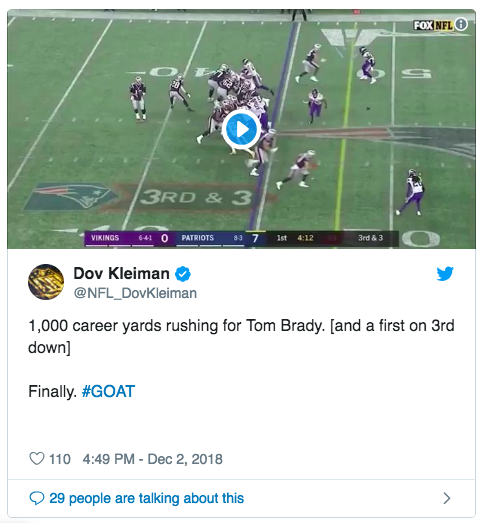 Tom Brady got his 1000 yards. 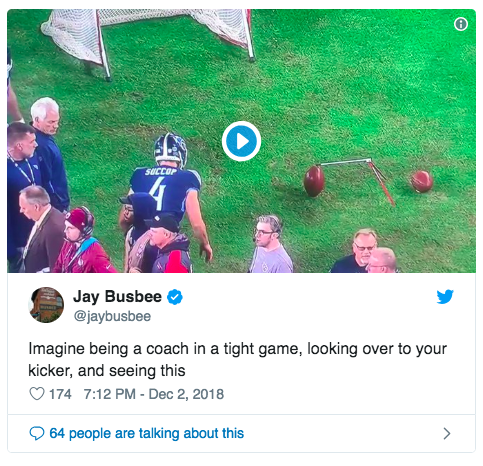 And for the kneel down at the end of the game, he made sure to step forward so he didn't lose a yard. 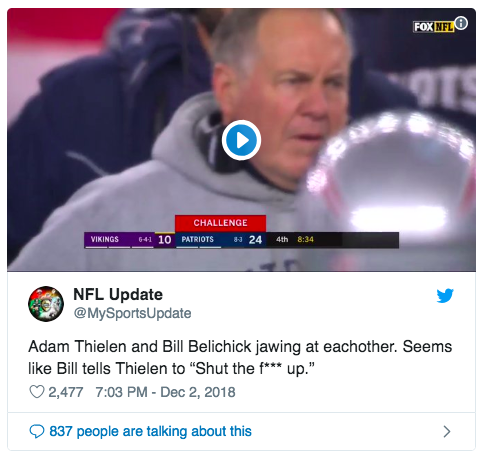 Bill Belichick was about as impressed as you thought he'd be. 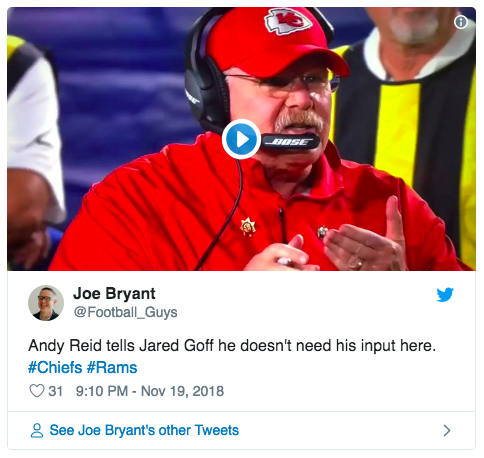 Thanks to Footballguy Devin Knotts for the help on that one. 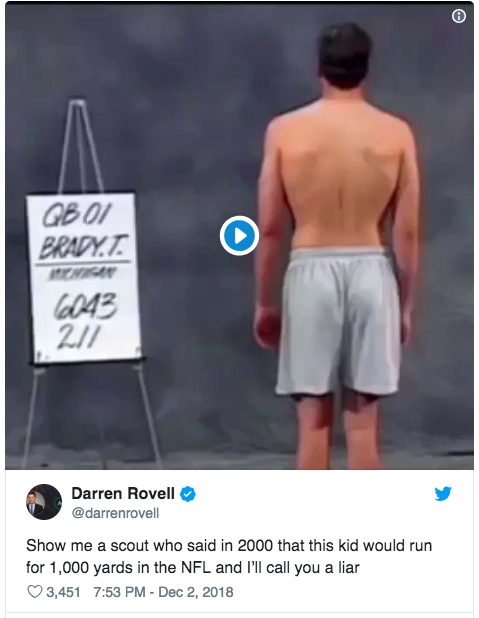 Plus Darren Rovell with more. 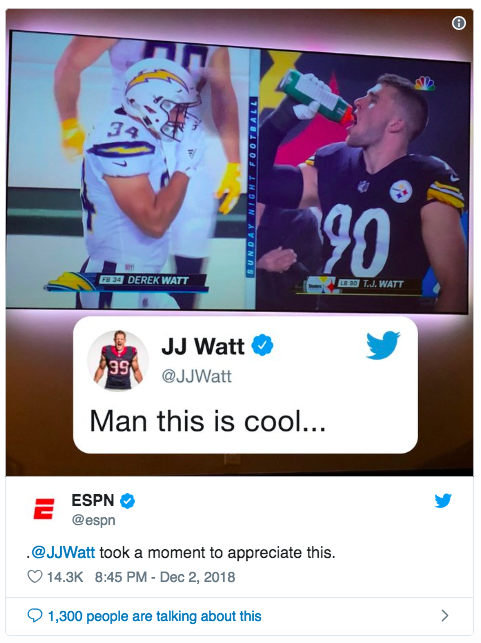 J.J. Watt with some brotherly love Sunday Night. 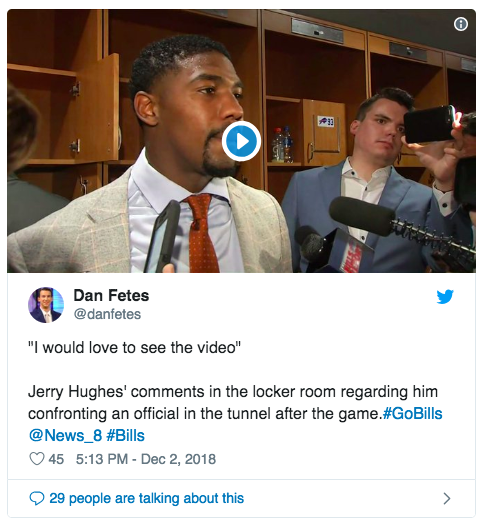 The Jerry Hughes situation was interesting in the Bills at Dolphins game. 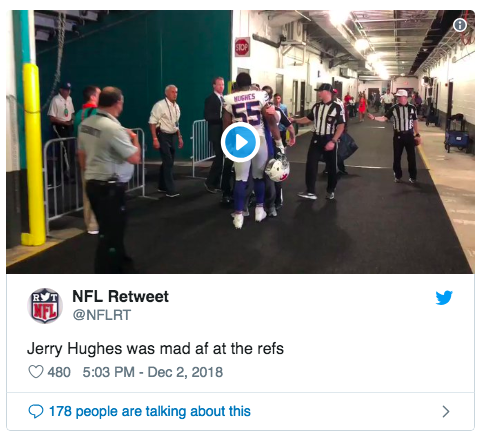 First, we have on video Hughes yelling at an official after the game. USA Today said Hughes accused the official of calling him a derogatory term. 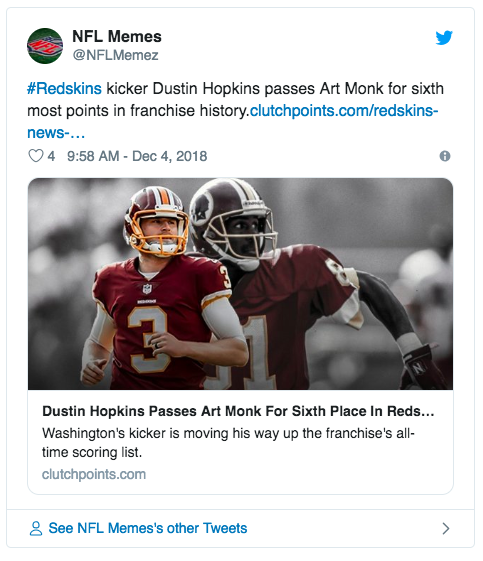 "The official he appears to be confronting is Roy Ellison, who was suspended in 2013 for “making a profane and derogatory statement” to Redskins LT Trent Williams." When asked about the incident in the locker room, Hughes seemed to have amnesia. Saying he'd "love to see the video" of him confronting the official. Then a few days later, the league placed official Roy Ellison on administrative leave. 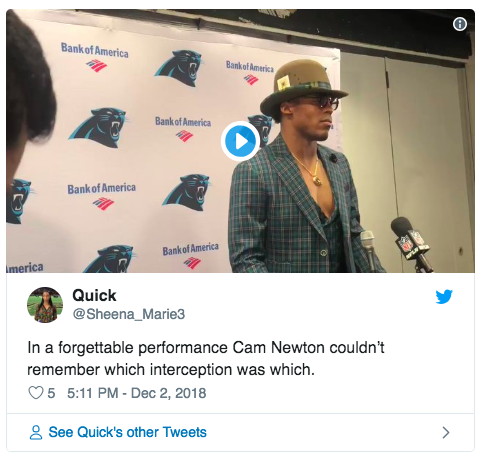 Cam Newton with the saddest answer after throwing four interceptions. 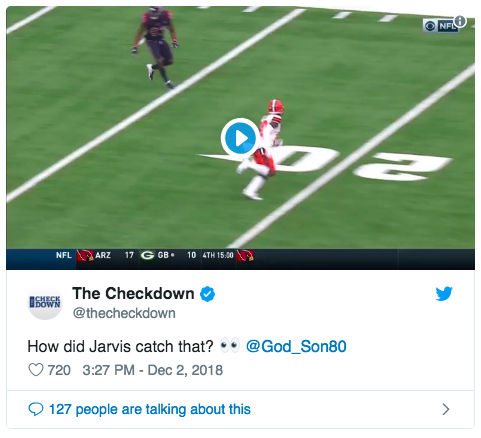 He was asked what happened on the second interception and he said, “It’s sad that I don’t even know which one you’re talking about." 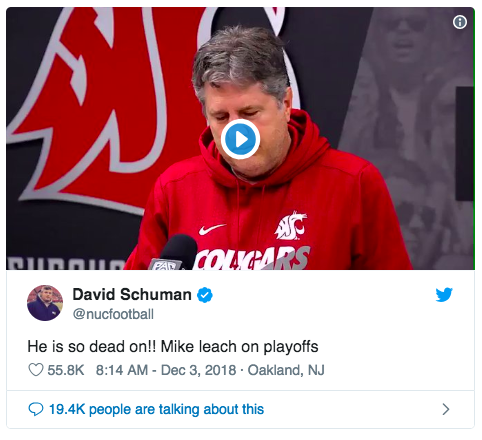 My vote is to put Mike Leach in charge of a real College Football Playoff. The year is 2018. 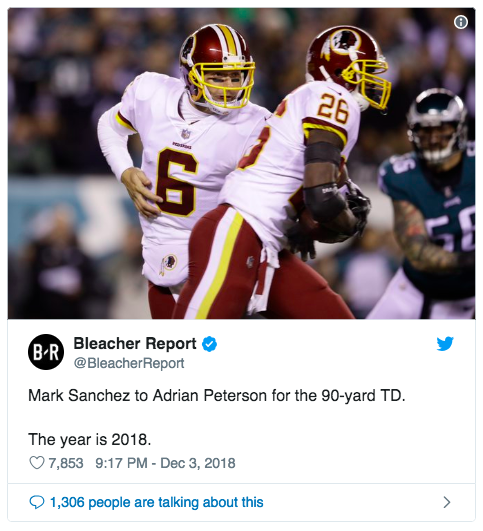 Mark Sanchez hands off to Adrian Peterson for the touchdown. 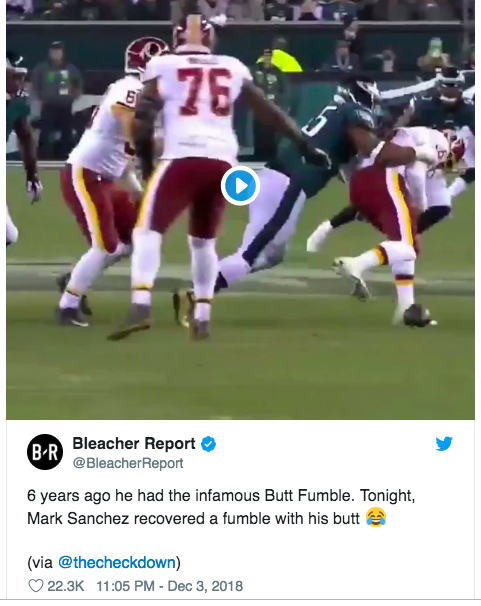 I saw lots of action on Twitter instantly deriding Sanchez with "great handoff!!! 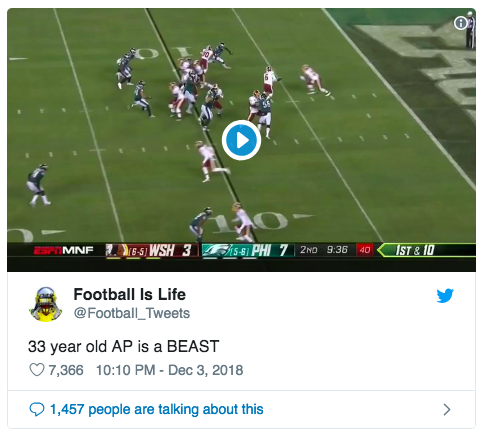 OMG LOL" and "Wow this play doesn't happen without that epic handoff by Mark Sanchez"
I don't understand people. How can you hate Mark Sanchez? Adrian Peterson, however, still has wheels if you needed reminding. 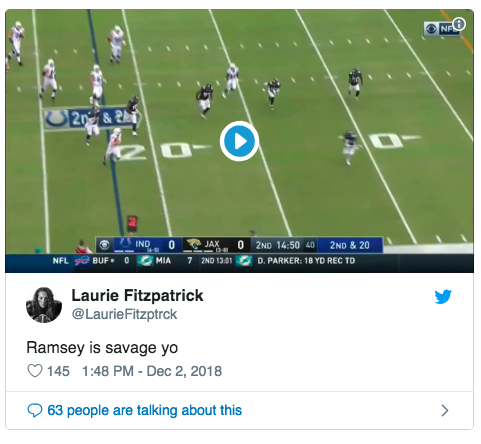 Is that what the kids these days call "savage"? Here's an upside to being grumpy most of the time. 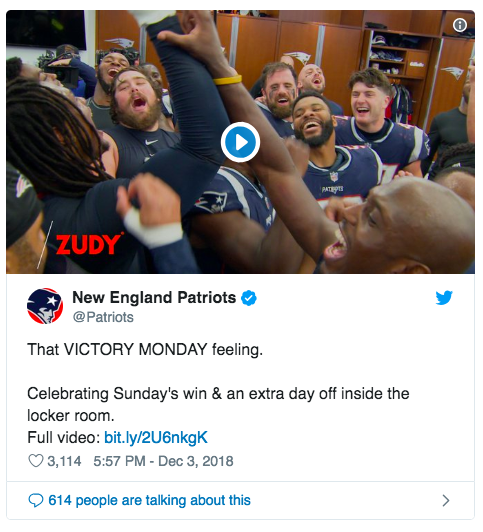 When you give the team a day off, they go wild. 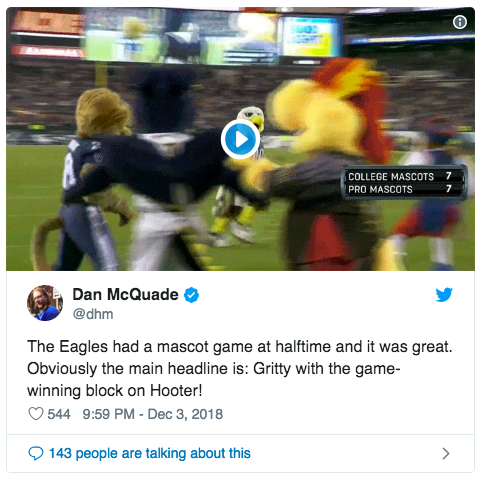 I'm not sure what it says about me that I'd be all in for a Mascot Game. Not going to lie. I wouldn't have thought this to be true. 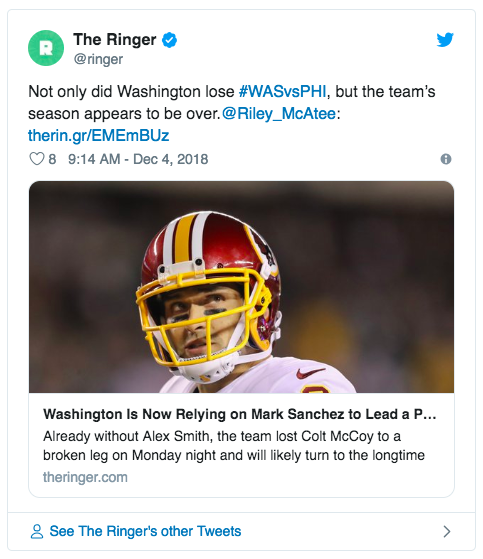 Washington's season was likely over with one injury and now very likely over with two injuries. 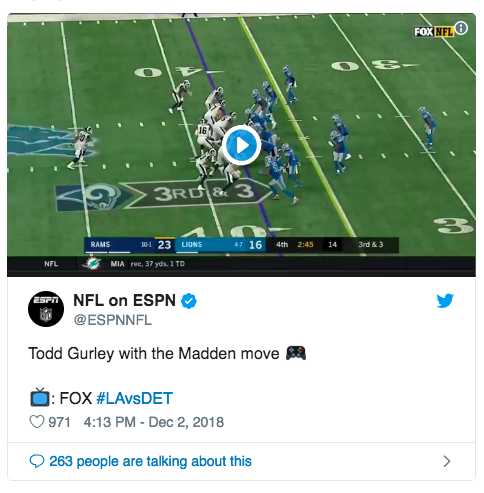 This is why the league protects quarterbacks. 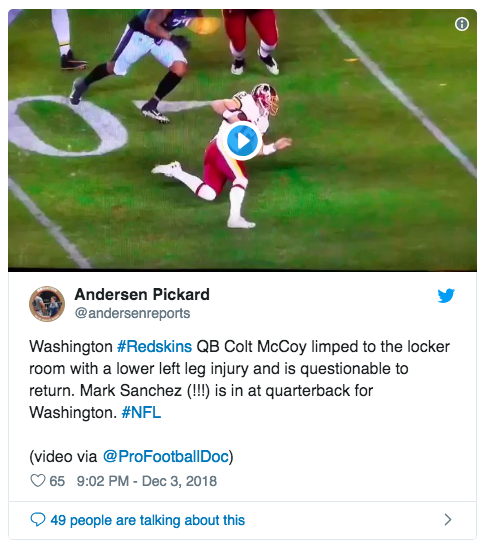 Washington quarterback Colt McCoy broke his leg on this play. 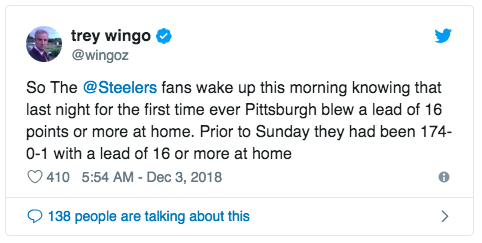 Note: This isn't Joe Theismann or Alex Smith gross, but maybe still gross if this kind of thing bothers you. 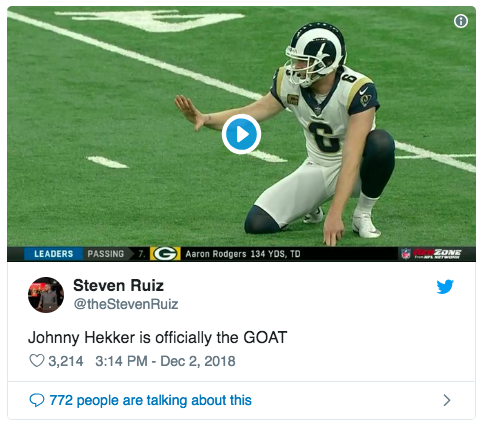 The crazy part is he stayed in the game for two more plays and completed two passes to set up a field goal. These guys make a lot of money. These guys earn a lot of money. I think what I found funny was the fact other people found this funny. 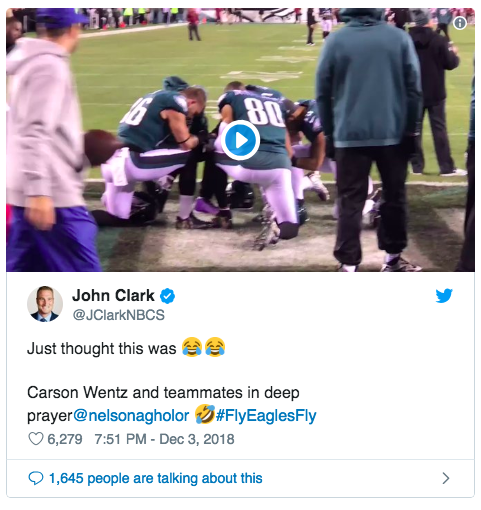 I don't know these guys at all, but my guess is if you asked Nelson Agholor or Carson Wentz or Jordan Matthews about it, they'd just shrug and say everyone gets ready for a game their own way. I'm with Big Cat. Urban Meyer missed an opportunity here. 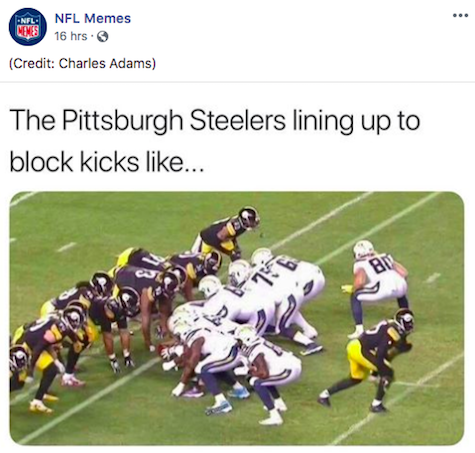 Thanks to Footballguy Mike Wenger for that one. The Bills released wide receiver Kelvin Benjamin this week. 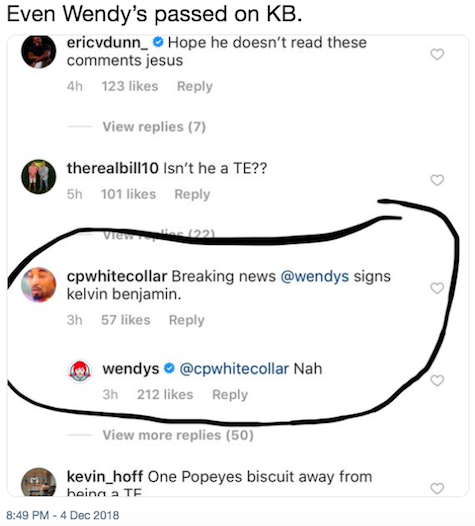 All I know is the person running the Wendy's Twitter Account is on fire. 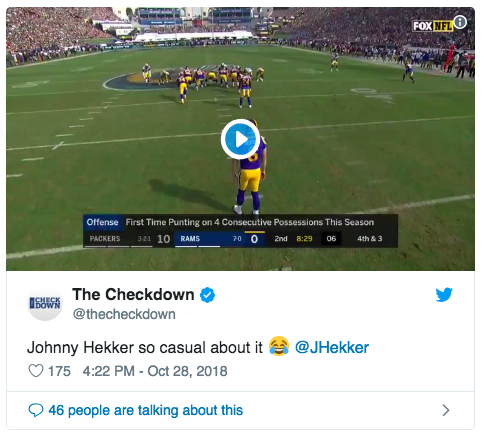 Thanks to Footballguy Jeff Tefertiller for that one. 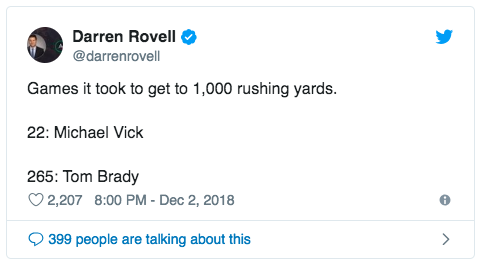 And this is not one of those Jacksonville All-Time Leader type things. 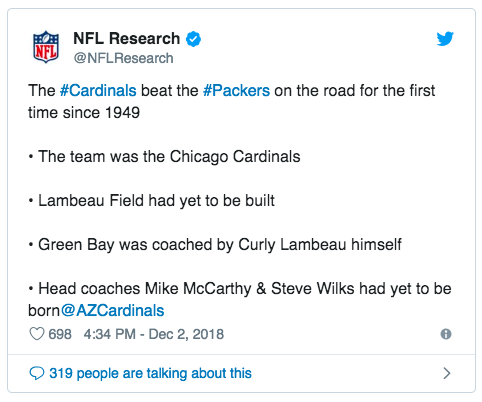 The Cardinals started playing the Packers in 1921. Wrapping this one with my Holiday Gift to you this week. 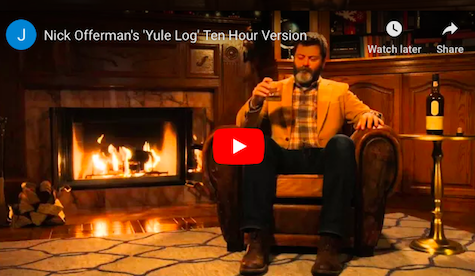 Ten hours of Nick Offerman silently sitting by a fire. For real. 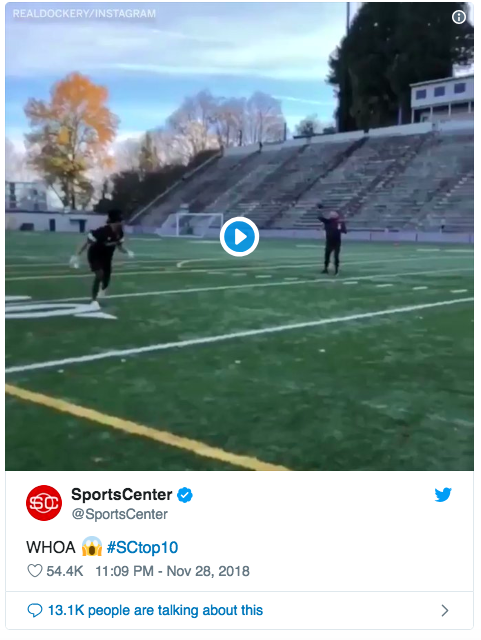 Thanks to Footballguys Keith Overton, Clayton Gray, David Dodds, Seth Meredith, Devin Knotts, Mike Wenger, and Jeff Tefertiller for the help on this one. 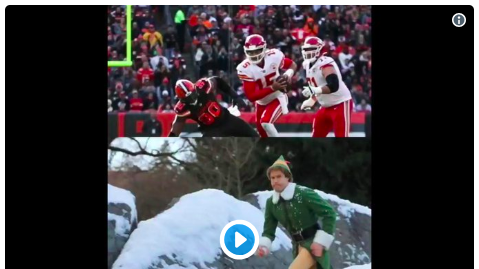 If you've got a Random Shot of your own, send me an e-mail at bryant@footballguys.com.